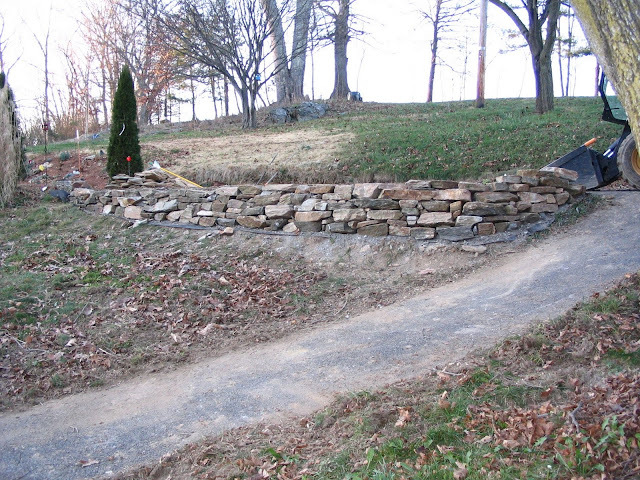 ROCKIN WALLS: Consider this when hiring a Dry Stone Mason! 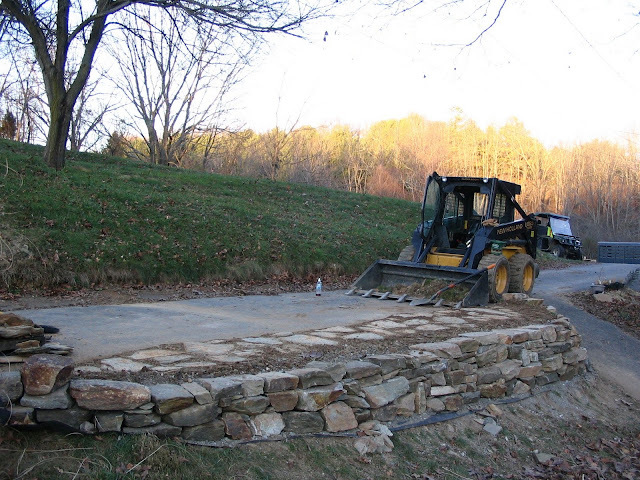 If you plan on hiring a Dry Stone Mason, take the time to see their work. Understand what they do. How they have been trained. Do they hold any qualified certification from DSC or DSWA? Ask for referrals. Understand what good walling looks like. 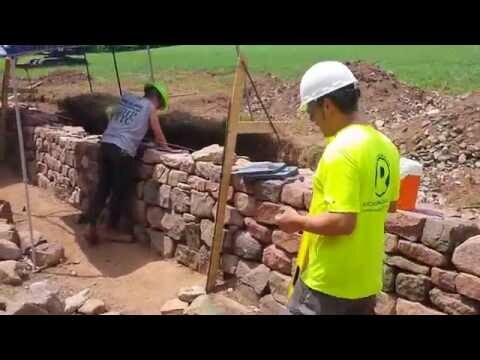 Just because someone is a mason who may work with mortar, they may not understand how to properly build a dry stone wall. Most businesses will be happy to take your money and say Yes we can do that. Remember also dry stone doesn't mean dry stone look or mortar should be used. Dry Stone walls are built with out mortar. Only on rare occasions mortar may be needed for a special application. I've taken the steps to learn correct walling, I follow key rules and build to the level of my training, always pushing to be greater. In 2006 I built one of my first walls. (pictured above) I had never built a wall before of this size. This was recycled Butler stone a friend had given me and my wife. In 8 hours I put this together. I had only read books but never taken a workshop. Running joints in more then a few places. Weed cloth on the bottom- a no no. Simply not needed since your stones should sit right on the earth. Some of the other things at the time I did not think of was the undercut of the stone. If you look hard at some of the stone you will see more then a few which are not working with the batter of the wall. So instead of tapering back some actually stick out due to the shape. I also did not use any string lines or frames - I had no idea what they were at the time. In 2007 I would learn the basics from the DSC in KY with master craftsman Neil Rippingale. Seen below workshop in Shaker village KY. Moral of the story- don't let any fast talking "Professional Stone Mason" tell you how qualified he or she is. The internet is a big place - do your homework - check credentials, inspect work. Ask questions. Last but least do they build it or do they have a crew of men who do the work. Sometimes a one man show will be slower but the quality of work will be correct with a skilled craftsman. For more information about correct dry stone walling check out Dry Stone Principles. 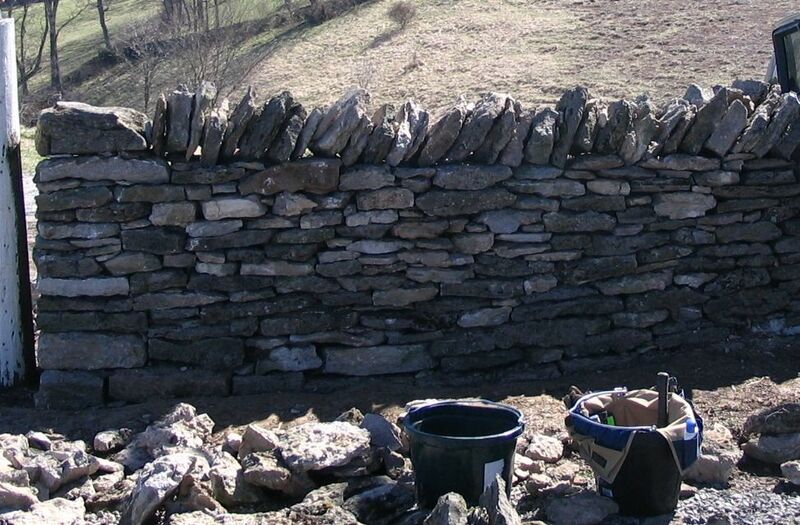 The DSWA of Great Britain offers some great leaflets on proper dry stone walling. Great blog. I plan to take a introductory class at Shaker Village.